Welcome to Mackintosh Architecture, the first authoritative survey of the architecture of Charles Rennie Mackintosh. 'Mackintosh Architecture' provides a richly-illustrated Catalogue of all known architectural projects by Charles Rennie Mackintosh. 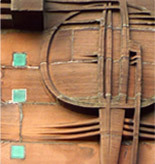 The site also provides entries for projects by the practice, John Honeyman & Keppie / Honeyman, Keppie & Mackintosh during the Mackintosh years 1889–1913; images and data from the office record books; a catalogue raisonné of over 1200 drawings by Mackintosh and the practice; analytical and contextual essays; biographies of over 400 clients, colleagues, contractors and suppliers; timeline; glossary; and bibliography. Project entries can be accessed through The Catalogue. Data on contractors, suppliers and payments extracted from the office job books providing information on who worked on the projects, when and for how much. Biographical information on over 400 clients, contractors and suppliers, presenting the wider context within which Mackintosh worked and identifying those who contributed to the realisation of the projects. The first catalogue of all known architectural projects with which Mackintosh was involved, giving detailed and richly-illustrated descriptions. Catalogue raisonné of over 1200 architectural drawings. For some projects only a few drawings survive, for others they provide a detailed record of the evolution of a project over several years. Over 3200 images, archival and new, illustrating the buildings and recording significant change. Analytical essays which explore themes of context, making and meaning and look at the history of the practice, the process of building, and the process of architectural drawing.